In 2004, the little-known community of Chesterfield County , VA was named among the top 20 “Best Places to Live in America .” With 3,000 acres of green space, 30 public parks, and abundant historical attractions, it's no wonder. But there's something else about this charming suburb of Richmond that makes it so appealing to its more than 280,000 residents, and that's the low crime rates it enjoys. This trend is no accident. On the contrary, it is the direct result of a sincere commitment and a mutual endeavor between residents and law enforcement. It's this philosophy that can be credited with the institution of a vast array of programs that are aimed at community-based crime prevention. In the center of it all is Neighborhood Watch. Part of Chesterfield 's fabric since the mid 1980s, the Neighborhood Watch program has exploded. Today, 319 watches exist within the county, and, according to Deringer, a majority of these groups are active. Participants stay connected to one another and keep informed of crime trends affecting their neighborhoods via a fax and email alert system, along with a monthly newsletter. 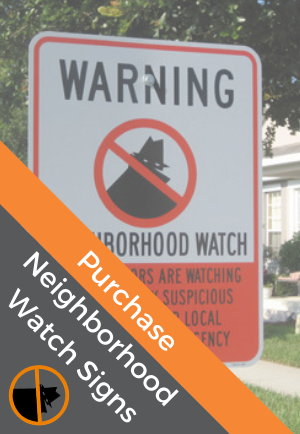 In addition, the council revamped an outdated brochure that had originally been designed as a marketing tool to encourage residents to either join existing Neighborhood Watch groups or form their own. Perhaps the most innovative initiative developed by the council was the initiation of an annual Neighborhood Watch Coordinators Conference. Kicked off last year as part of a larger event, organizers decided that, because of the abundance of information there was to share, the event warranted an entire day. With this in mind, beginning this year, the event will now be a day-long event that will feature speakers who will discuss such topics as home security, identity theft, and general area crime trends. The event will also feature a brainstorming session designed to develop ways to better serve the needs of the community. Case in point: Last year, volunteer Neighborhood Watch patrols were making the rounds in their community when they noticed that a large number of mailboxes had been vandalized. They immediately called police to report the problem. Because of their prompt action, police were able to get to the neighborhood quickly enough to apprehend the suspects before they had the opportunity to escape, and they were subsequently charged with a number of vandalisms in the community. That is not the only difference between Chesterfield and other communities. While Neighborhood Watch may serve as the core of crime prevention, it certainly does not designate the beginning and end of the county's efforts. In fact, the police department has incorporated numerous programs designed to aid in crime prevention and community safety. Below is a glimpse of a few of these programs. The Business Watch program, for instance, provides business participants with emails and faxes containing information about crimes in which businesses were victimized. The communication also offers tips for helping businesses to take necessary measures to help prevent such crimes from happening at their establishments. The police department also sponsors a Citizens' Academy through which participants have the opportunity to learn about the efforts the police department is taking to make the community a safer place in which to live and work. The academy features general training, question and answer sessions, lectures, visual presentations, and tours and practical exercises. Similarly, the Senior Citizen Academy, a 10-week program designed to assist the country's senior population, is offered regularly and features classes on topics such as personal safety, crime prevention methods, identity theft, fraud, and emergency communication. To meet the needs of the county's multi-family housing areas, a Multi-Family Housing Crime Prevention Coordinator was appointed. This individual dedicates his efforts to helping make apartment complexes and other multi-family housing units safe by working with managers to write leases more effectively so that it is easier to evict criminals and trouble-makers, heading up an apartment safety coalition, and initiating communication between managers. “While managers of different apartment complexes are competing for renters, they are only doing themselves harm if they don't communicate with one another and stop allowing criminals to circulate from one complex to the next,” says Deringer. That said, managers participate in meetings each month for the purpose of exchanging information and brainstorming ways to enhance safety. When it comes to keeping housing safe, the department also runs a Crime Prevention through Environmental Design (CPTED) program in which a civilian volunteer reviews all incoming building plans for new businesses and large complexes and sits on the site plan review committee with the county to make recommendations on how to make buildings less vulnerable to crime. This individual makes recommendations on lighting, boundaries, and exits and entrances in an effort to make it more difficult for would-be criminals to commit crimes. With a firm commitment to community policing efforts and by working with other county resources, the Chesterfield County Police Department has built a strong level of trust and created a unique partnership with the community. Not only can the success of the program be measured by statistics (reports indicate a 20% reduction in serious crimes in areas that have embraced community policing programs), but also in the fact that property values have significantly increased. Perhaps most importantly, these efforts have increased the overall quality of life for residents.